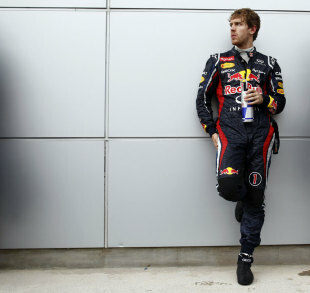 Sebastian Vettel insists he has "total faith" in Red Bull despite a difficult start to his title defence. After only qualifying in sixth place in Australia Vettel made the most of a safety car period to finish second, before a late clash with Narain Karthikeyan caused him a puncture and dropped him out of the points in Malaysia. The start to the season has been in stark contrast to his dominance in 2011, but Vettel said he is unfazed because Red Bull has show itself to be competitive. "After a few days off, I went back to the factory in Milton Keynes to work on the team and our car," Vettel wrote in his Red Bull blog. "I admit, the first two races weren't exactly perfect but they weren't that bad either. We proved we can able to compete with the strongest teams and that's very important." Vettel added that he had moved on from his problems at Sepang and was looking ahead to bouncing back in the remainder of the season. "When you get a mishap like the one I had in Malaysia, however, well then even we are helpless - but that's just how F1 works. We now have 18 more races ahead of us and we will do all we can to defend our titles. I have total faith in the team, the car and myself. There's still much for us to do, but together as a team we can accomplish anything."